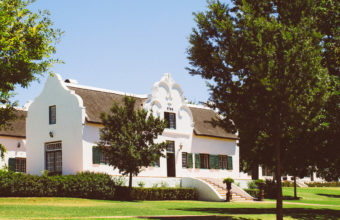 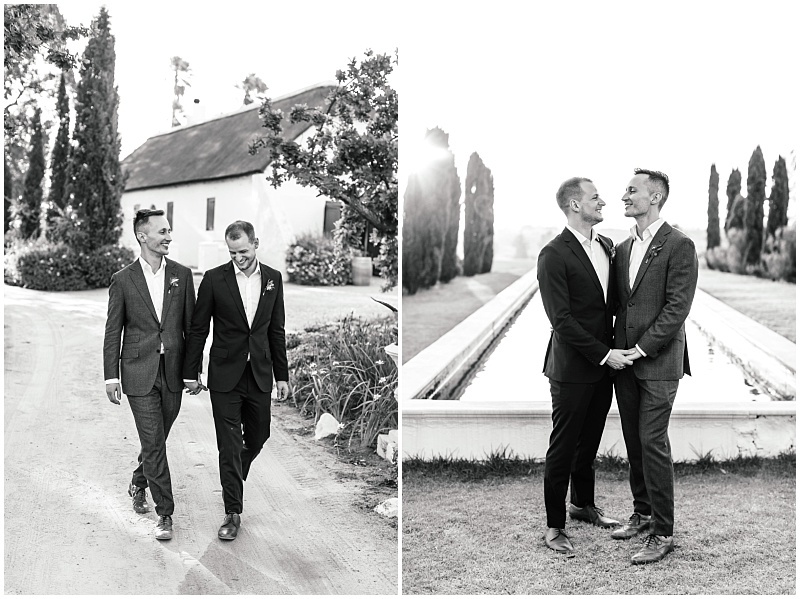 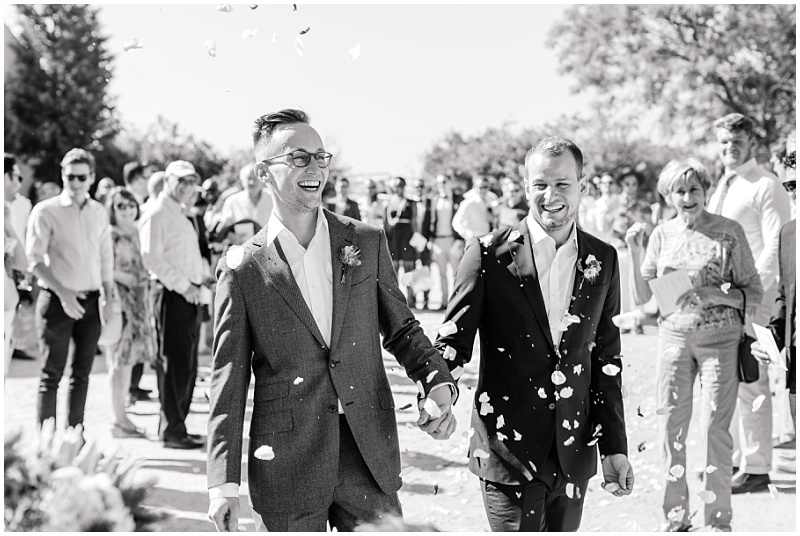 The restored Cape Dutch retreat, Hawksmoor House has picturesque views of the vineyards and breath – taking sunsets with Table Mountain in the distance, which offered the perfect setting for Alistair and Michael’s destination wedding. 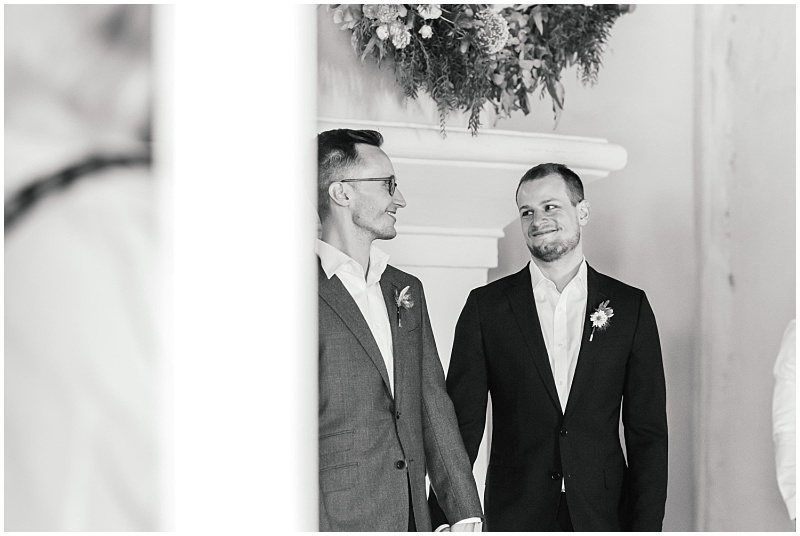 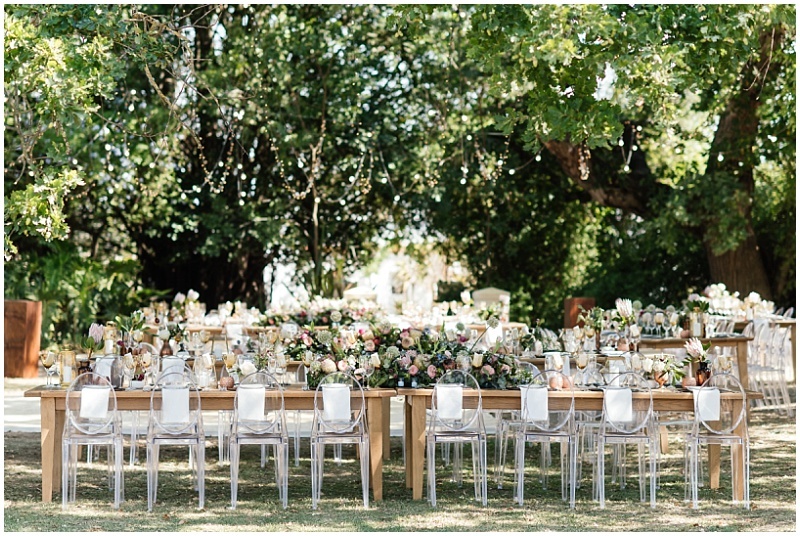 The couple’s close friends and family traveled from abroad in anticipation for a celebration that promised to be a true reflection of their personalities – a perfect balance of a relaxed atmosphere mixed with sophisticated and chic details! 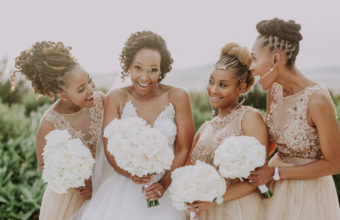 Although this stylish, young South African couple chose New York as their home for their new chapter, it was always destined that they would celebrate their nuptials on African soil! 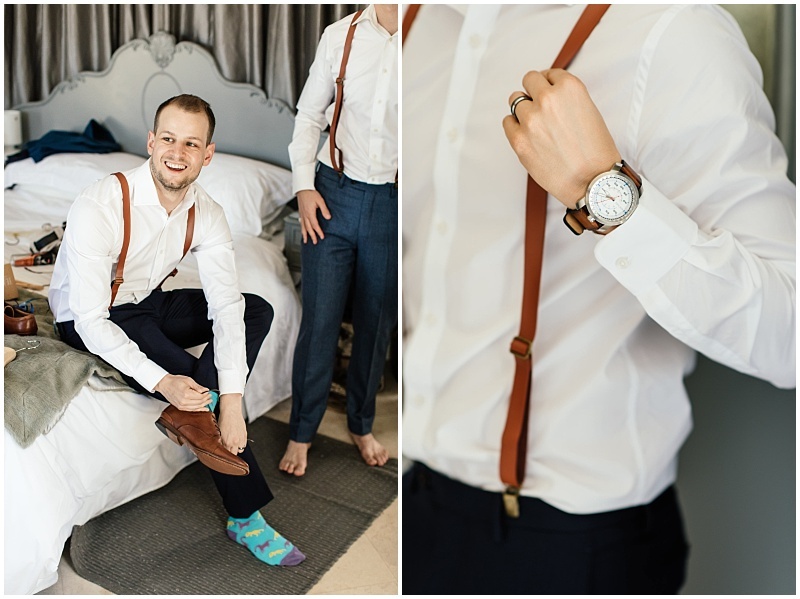 Our design and coordination team set out to create a relaxed, country setting combined with beautiful and intricate details that would capture the vision that Alistair and Michael had for their intimate affair. 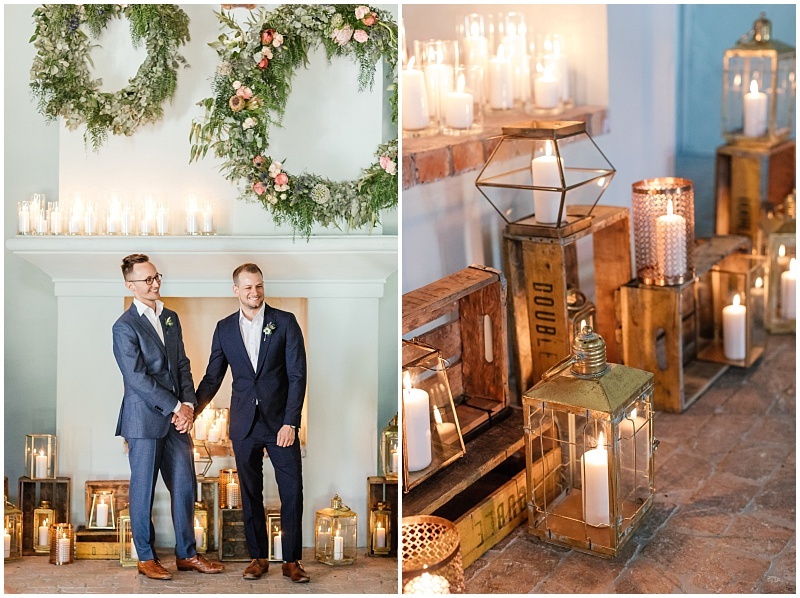 The ceremony took place in the historic ‘blue barn’ which offered a colourful backdrop for their romantic country décor. 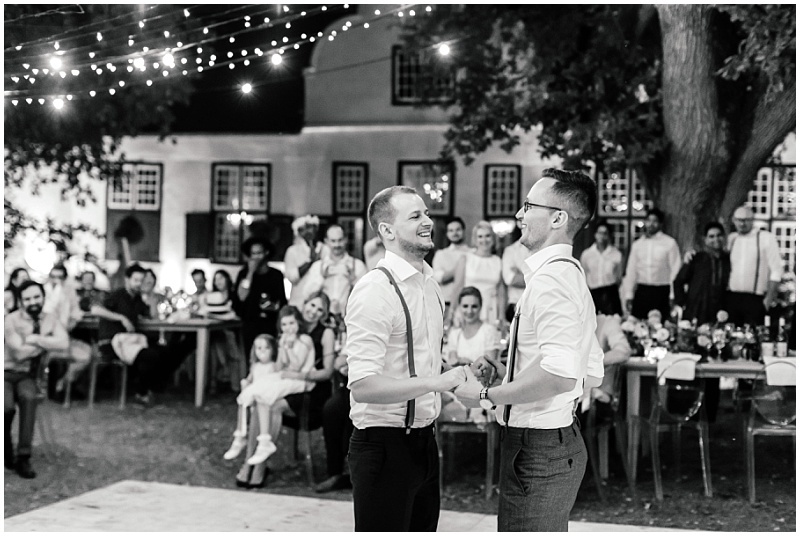 The guests were then escorted through the lavender fields to the stylish cocktail area where the smooth sounds of local band, Manouche set the scene for the evening ahead. 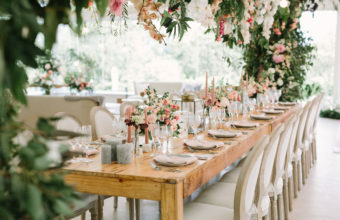 With the bubbles and unique cocktails flowing and an interactive South African inspired canapé station, the couple took center stage as they went against tradition and gave their speech as a newly married couple! 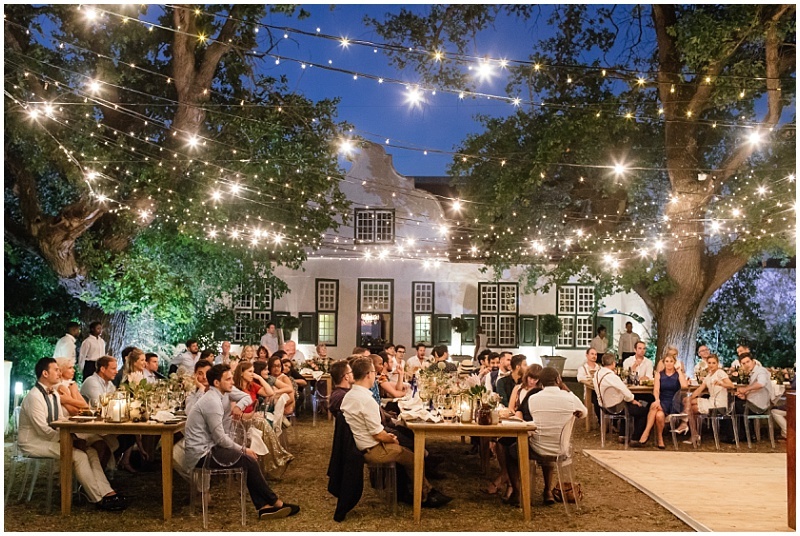 The unique country environment of the reception setting saved the best for last as guests arrived to an unpretentious yet chic, alfresco dining setting, all set under Hawksmoor House’s 100-year-old oak trees! 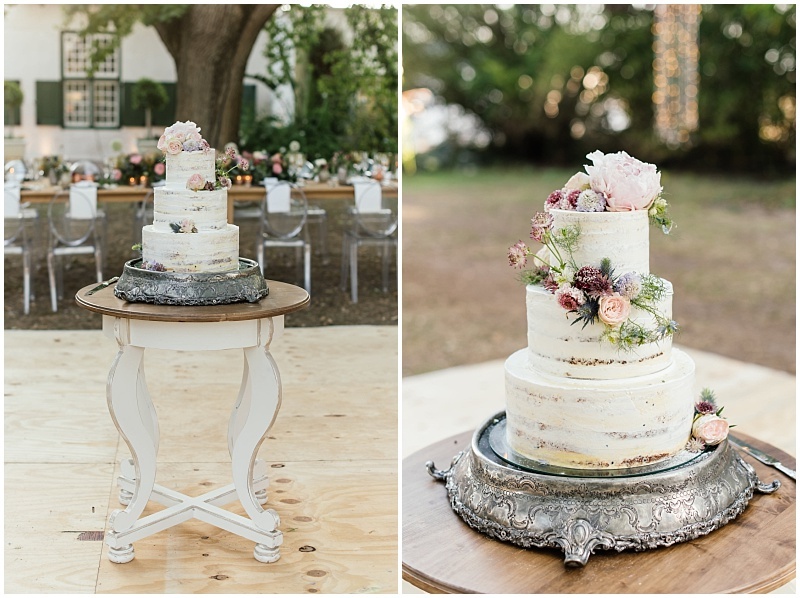 The country inspired colour scheme was carried through to all elements, and combined with a beautiful creative collaboration of top South African designers, adding a stylish and modern touch to the tables. 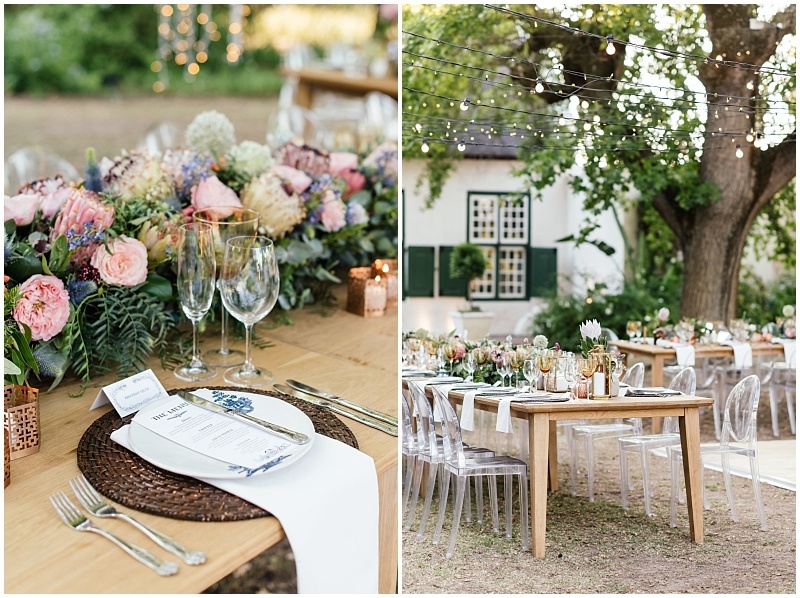 The Mervyn Gers, Cape floral and Delft inspired plates tastefully complemented the hand crafted stationery details by Michael Chandler. 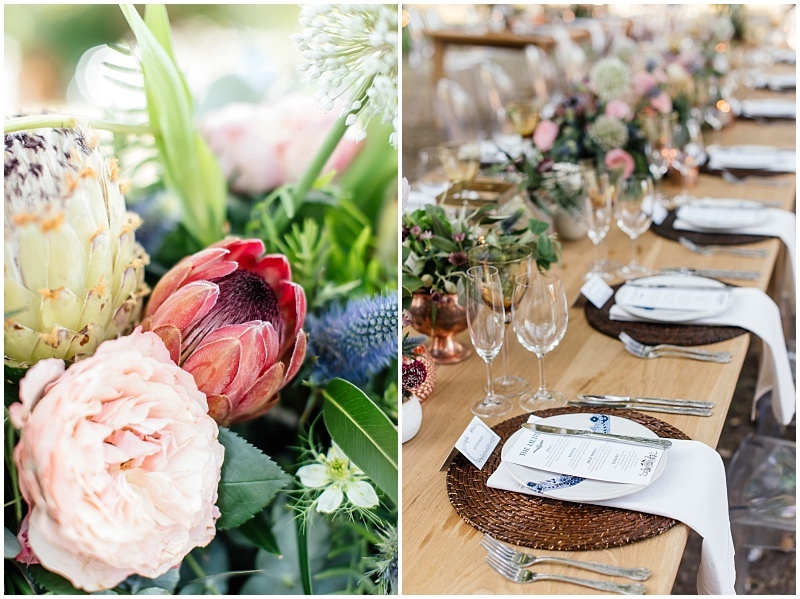 This distinctive table setting was finished off with a textured fynbos themed floral band that ran down the center of the tables, adding yet another South African element to the mix! 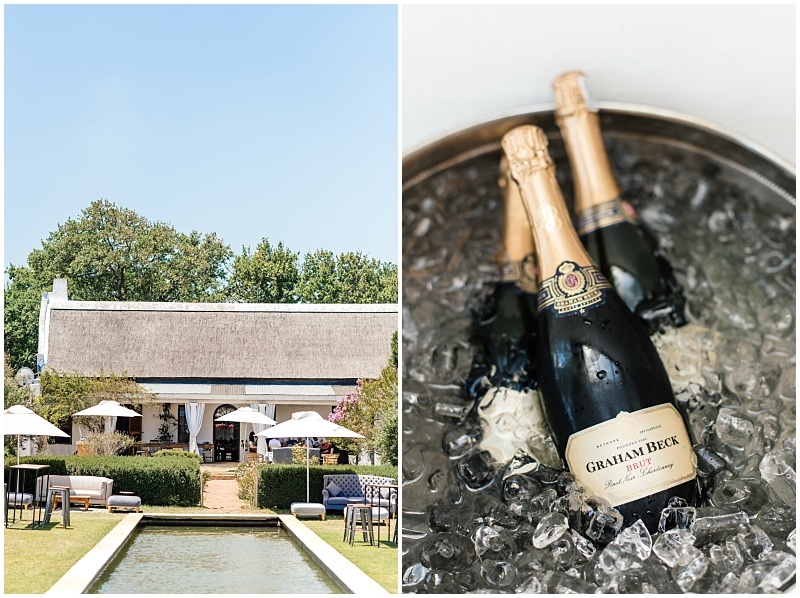 For our team, Alistair and Michael’s fun filled, open – air celebration showcased a stylish and exclusive blend of “New York meets South Africa”! 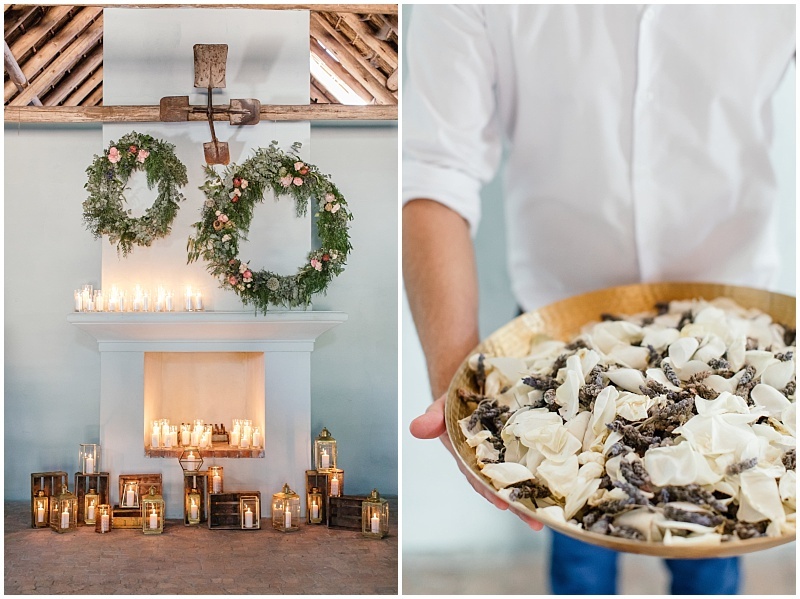 With the bespoke stationery and personalised details and the country inspired décor this celebration was as chic as it was relaxed!